Anything in Stained Glass has been a family-owned and operated business since 1979. It began as a small shop in New Jersey until the late 80's when it moved to Rio Grande, NJ down in southern Jersey near Cape May. It was a favorite place for people to stop by on their trips to the beach. 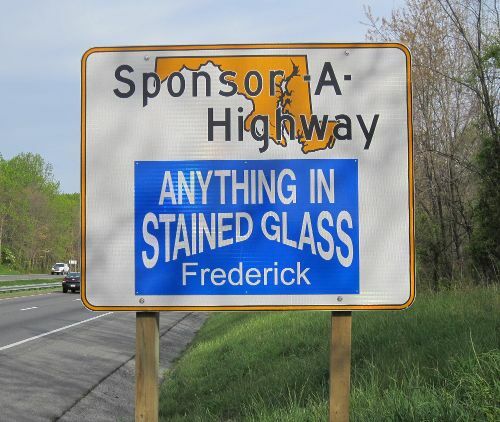 After much thought and research we moved to the city of Frederick in Frederick County Maryland in August 2011. June 2013 saw the first expansion of the business where we increased our warehouse space to 9000 square feet and included an area for studio work and classes! Everything on this website is used by the staff, stocked in the store, and sold at low, down-to-Earth prices. Every week or so we send out an email sale flyer featuring sale items and new introductory supplies. Actually, there is always a sale at Anything In Stained Glass, including in-store only specials and unique pieces of glass only sold in the store. So, if you are in the area, please stop in for a visit. You won't be disappointed. Please take the time to surf our website and compare our prices with what you are now paying. You will see for yourself that it pays to shop with us. When you place your order online, your credit card is not charged until the order is processed and shipping is assessed. Then your order will be shipped out to you via UPS or USPS within a day or two, unless an item you ordered is temporarily out of stock and is expected in within a reasonable time. In this case, we will hold your order for that item, so your order can be shipped to you complete. We do our best to keep our prices as low and affordable as possible, however there are times when manufacturer's price increases may cause us to raise a price or two without notice. For this we are sorry for the inconvenience! If you wish, you can call for current pricing. We look forward to your continued business. We, at Anything In Stained Glass, do glass ourselves and can help you with any problem that may come up regarding stained glass. Whether the problem is with a supply, a tool, or a project you are working on, we can help. MINIMUM ORDER: Due to the cost of processing an order, our minimum order is $25.00. Orders not meeting this dollar amount before shipping charges and any applicable taxes, will be charged a $3.00 processing fee. METHOD OF PAYMENT: For your convenience, we accept Visa, MasterCard, and Discover. Please supply your complete charge number, security code (3 digits on the back of the card), expiration date, name, address, and phone number of the card holder. We also accept checks and money orders sent in with your order. Keep in mind that certain items must be packed in a box of their own, such as 6ft. oak, zinc, etc. Ordering these items along with other supplies may create more than one shipping box. BACKORDERS: If an item you ordered is temporarily out of stock, and is expected in within a reasonable time, we will hold your order for that item. This way your order will be shipped to you complete. If the item is out of stock, and will be in stock soon, we will backorder that item. If the item will be out of stock for some time, we will have you re-order that item at a later date. If you prefer no backorders or prefer us not to hold your order, please indicate this on the order.